Don’t worry, this isn’t technically an article on New Year’s resolutions. This is more than that. It’s an article on self-reflection and self-appreciation. It’s about learning about yourself – what you want, where you want to be and who you are. I’m Ellen and I’m one of the writers here at Life Coach Directory. I’ve been to university, learned a lot and after a number of different jobs, have found a career I’d like to pursue and develop in. But despite this, it’s only been recently that I’ve actually sat down and thought about where I want to be, what I want to achieve and how much I’ve changed. Reflection isn’t something we do often. We might have to look back at the past few weeks or months during an interview or our yearly review. We think back to our last holiday every now and then. But we rarely take a moment to really think about what we’ve achieved and how we’ve developed over the past year. Before jumping ahead and thinking about the future. Consider the past. Think about everything that has happened this year, or write it down. Where did you go? What have you done? What are you proud of? Even if there are some sad memories, think about them. Consider how far you’ve come, and how it helped you develop as a person. You’re still here. You’re stronger than you were before. How do you feel after your moment of reflection? Proud, I hope. The next thing is to write down what you want. What you want to achieve, a country you want to visit, a new skill to develop. Nothing is too big or too small. Split your page into sections; work, play and self. Write down what you want to gain career-wise in 2018. Do you want a promotion, to hold more presentations, or do you want to go down a whole new path? The play section is for your social life. Your relationships. Your adventures. If there are things you weren’t able to do this year but wanted to, this is the year to do them. Of course, we all have dream travel destinations, and not many of us will be able to visit them all in one year, but treat yourself to one. Consider your budget and get saving. You won’t regret it. Finally, the self section. This is where you can record all intentions or challenges you are setting yourself for the coming months. Whether it’s being more confident and self-assured, making healthier choices – for mind and body, or building on self-love and dedicating time to self-care. We don’t spend enough time looking after ourselves, or when we do, we feel guilty. In 2018, you will not feel guilty for spending time on you. Do you feel inspired? Deciding what you want isn’t easy – I found it surprising. I wasn’t expecting to read the things I had written down. It’s quite empowering. I’m keeping this broad and very general. 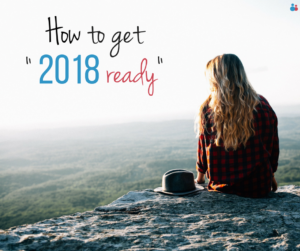 After all, the preparations you may need to make will depend on your 2018 goals and aims. But by preparing, I really mean enjoy yourself. Enjoy the final days of 2017. Relax. I also like to consider the New Year as a fresh chapter. 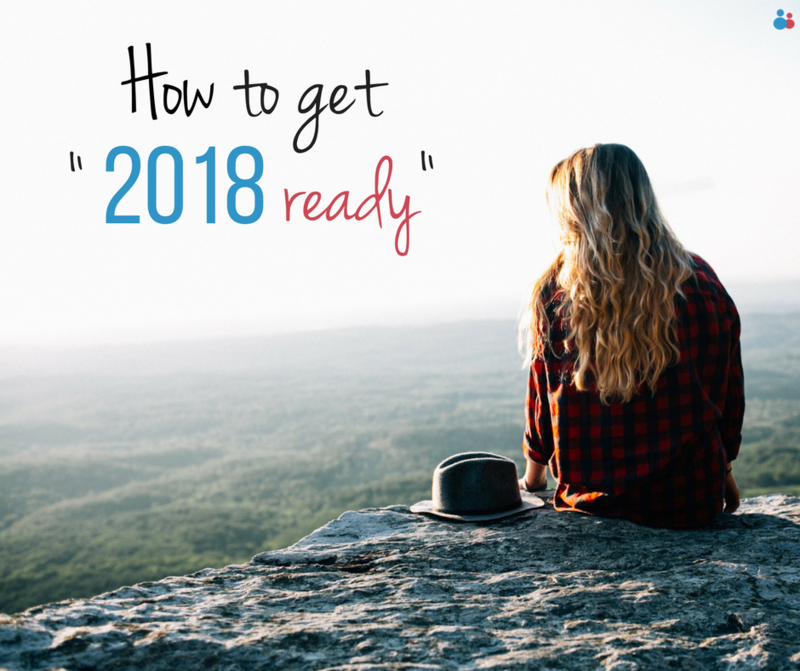 Not a ‘new start’ as such, but getting yourself ready for the year ahead can make achieving your goals a little bit easier. You start on the right foot per se. Personally, I like to have a clear out and a big tidy up. As the year comes to a close, I empty my work inbox, tick off all outstanding tasks and write a new to-do list for the first week back. I have a wardrobe-organising day, tidy the house and as a result, I feel relieved and clear-minded. I feel ready to face the new year and really enjoy it. However you decide to prepare, keep what you have written in mind. Things may get in the way – after all, life is unexpected, but getting back up and adapting to the change is part of the journey. Fold the piece of paper and hide it somewhere, maybe you can look at it six months down the line and see how much you’re able to tick off. Confessions of a self-improvement addict – and how I learned to let go ‘Tis the season to buy and do more. Make it the season to review.